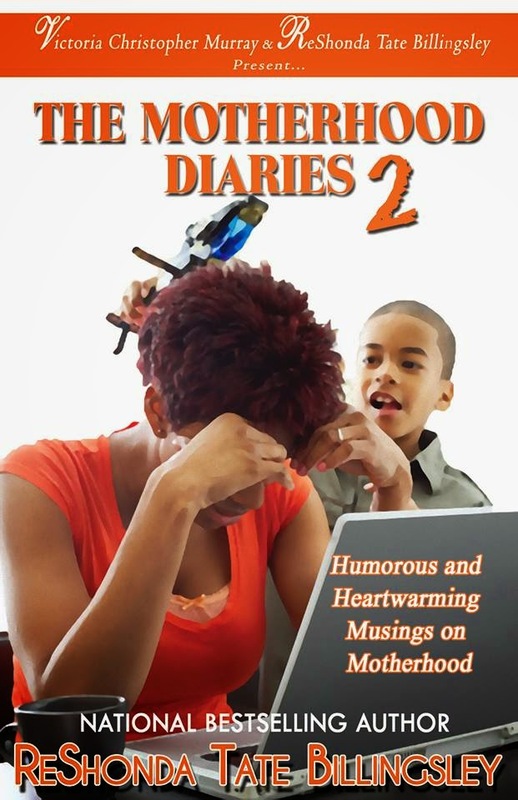 denise Leora madre: I'm a Naive Mom: Excerpt from "The Motherhood Diaries 2"
I'm a Naive Mom: Excerpt from "The Motherhood Diaries 2"
My blog posts often highlight moments where motherhood has thrown me for a considerable loop. In The Motherhood Diaries 2, twenty-four other mothers and I share our ups, downs, and all-arounds in the name of solidarity and preserving our sanity. And in that same spirit, here's an excerpt from my essay, "Diary of The Naive Mom...(Or Everything I Didn't Know)." Many words accurately describe me: Creative. Insightful. Passionate. Optimistic. But the one I like least. . . and which most thoroughly applies, I’m afraid. . . is naïve. In high school, I heard a story about Toni Braxton being “discovered” while pumping gas. As I also harbored deep-seated dreams of singing stardom, I believed such a thing would happen to me. Only in my early 20’s did I discover — to my great shock and confusion — that this occurrence was not only highly improbable but also a poor substitute for a life plan. Just before Thanksgiving during my freshman year at Howard University, I was hustled out of two hundred dollars by two gentlemen who didn’t trust the American banking system and needed me to prove its accessibility with a quick ATM transaction. When I later discovered their treachery, I was dumbfounded. After all, one of them claimed to be a pastor and wore a gold cross around his neck! But my preciousness — let’s try that word for a while, shall we? — is nowhere clearer than in my expectations of motherhood. Point of fact: as my head-in-the-clouds mentality presented even in my youth, my brother David predicted I would build my adult home atop a lush grassy lot and use the foliage as a floor. My children would eat tree bark and drink rainwater from the hole in our roof we’d call a shower. I would fashion their clothes from nearby leaves and discipline them with spiritual timeouts involving the lotus position and quiet, remorseful chanting. David is a special person. Per the children’s handbook, I could blame my naïveté on my mother and her unbelievable amazingness. My father was incredible, too, but Mommy was the eighth wonder of my world. She worked full-time outside the home yet gave me the attention of a stay-at-home mom. I remember her smiling face at every school performance, her encouragement during every personal trial and academic test. And as far as I could see, her success was an effortless matter of intention and action. Oh, and having a daughter who never gave her a moment’s trouble. So armed with this foolproof prototype, I entered the maternity ward, ready for a storybook life complete with birds singing me awake and lifting the corners of my bedspread as I busied myself with morning chores. My children would be attentive and obedient—never cranky—and would love clean and crumb-free living as much as I. The Motherhood Diaries 2 is available now! And follow the MD2 mommies on Twitter with #MD2 where we tweet about "That moment when..." and other mommy-related hijinks. The Vampire Diaries: Why Do We Love Damon? TBT Music: Don't Tell Mom!